These instructions will show you how to jailbreak 'untethered' your iPod Touch 4G running iOS 5.0.1 using the Windows version of redsn0w. This is an untethered jailbreak thanks to @pod2g’s “corona” untether for iOS 5.x on A4 and earlier devices. It requires that you upgrade to iOS 5.0.1 using iTunes. Download and launch redsn0w (Windows, Mac). Make sure your device is off and select Next. Follow the instructions to put your device in DFU mode. The jailbreak process will begin. Let it run. By default, Install Cydia is selected. If you like, you can select other options such as Enable battery percentage. Click Next. The jailbreak process will continue and then will finish on the device. 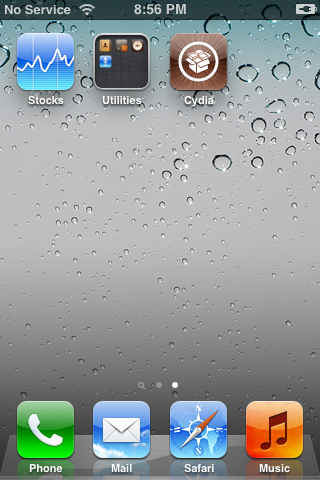 When the device reboots, you will find Cydia on your springboard, normally the second page. Check out redsn0w's extras for things like Pwned DFU or Recovery fix. More information is needed jrmy85.